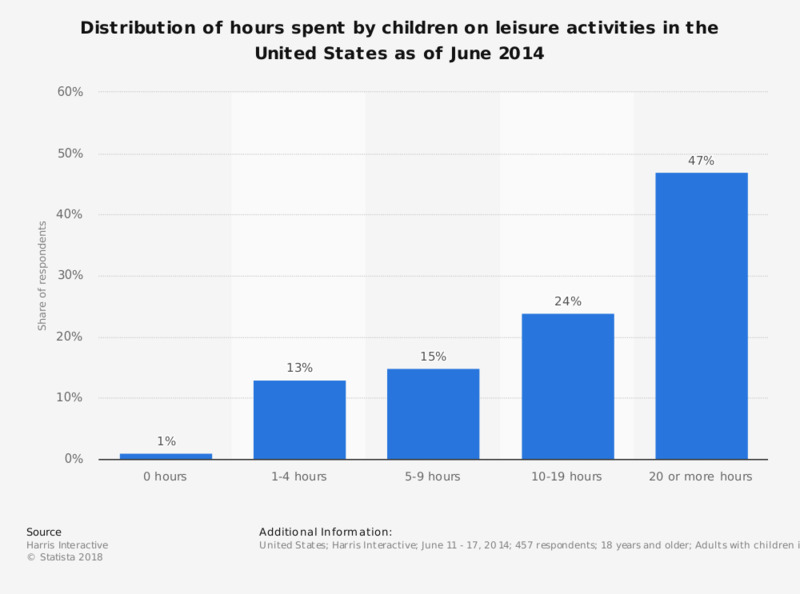 This statistic shows the distribution of hours spent by children on leisure activities in the United States as of June 2014. During the survey, 47 percent of parents reported their school-aged children spent 20 or more hours on free time/leisure activities. According to the source, free/leisure activites including taking part in hobbies, playing, watching TV, relaxing, spending time with family or friends and other things that are not related to school and other scheduled activities. Which impacts, if any, has playing Pokémon GO had on your life?